Before I moved with my family to Northwestern Tanzania 20 years ago, we were quite healthy. I had written research papers on demons and powers in the Bible, but I had no awareness of witches or witchcraft. Then, within the first year of our time in Africa, we were sick 40 times. I began having panic attacks. We gave birth to a still-born child. We grieved, far from everyone we had previously known. We struggled to adjust to a new culture and operate in Swahili. Meanwhile, we frequently went to funerals of neighbors, friends, fellow church members, and their children. Like Job, we asked, “Why! ?” Why were we and others suffering, sick, dying—even while following Jesus? How should we respond to this? How could we fix it? Sometimes we got a diagnosis from a clinic, but finding a reliable lab was difficult (see Alo’s post on this point). But we wanted to know more than “pneumonia, malaria, typhoid.” We wanted a deeper reason and a more permanent solution. I asked people and I asked God. I read scripture and books. I preached and taught on Job, Psalm 22, John 11, and many other passages about suffering. I considered multiple causes like environment, parasites, demons, psychological effects, our own and others’ sins and mistakes, and so on. But I also slowly began to realize that while Tanzanians considered these options, they also considered possibilities that I did not. They expected that some interpersonal relationship was the ultimate cause of everything, especially if it was surprisingly good (like quick wealth) or surprisingly bad (like a sudden death of a young man). A capsized ship that killed 900 sounded like multiplied negligence to me but locally was blamed on the country’s president sacrificing people. But it was not until a decade ago when I did my dissertation research on what people in NW Tanzania say, do, and believe about sickness and death that I really began to understand. I spent three years listening to 150+ Tanzanians in individual and focus group interviews. I also participated in daily life: worshiping in church, transporting dead bodies, praying with sick friends, and even exorcising demons. I wrote 100,000 words of field notes on what I observed. I asked insightful Tanzanian friends and church leaders to help me interpret what I was seeing and hearing. 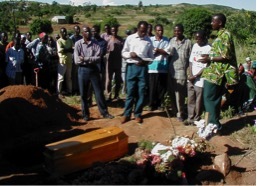 The 4-year-old son of a pastor, one of our Rasmussen’s Bible school students, is buried in Tanzania. The hospital said the child died from sickle cell anemia, but relatives blamed his father for causing the death by failing to consult the ancestors through the local healer. What I began to understand is that although pastors may say at funerals that this was the plan of God (mpango wa Mungu), they were not discussing a Calvinistic doctrine of providence. They were responding to the assumption of most of their listeners that it was the hand of a person (mkono wa mtu). In other words someone (like, e.g., a witch) caused the death through secret means out of envy or anger. My bishop, John Mwanzalima, told me that every time someone gets seriously sick or dies, people assume someone has caused it. So the next question is, “Who did it? Who is the witch?” People consider who had a relational problem with the victim: Was there envy, anger, or a statement like “you will see!” that could have been a threat? Ancestors or other spirits may also be involved. Possibly their descendent did not honor them so they are punishing or withdrawing protection—thus allowing witches to attack. A Christian version is that sin in a person’s life removed them from God’s protection so that the witch could harm them. Normally a person would go to a local healer (mganga wa kinyeji) to find the answer to the question of who caused sickness, death, and how to heal or protect oneself from them. Likewise, one could go to a mganga to get wealth or success. A much less frequent, but increasing possibility is that when one is prayed for by a Christian for healing or success, they might prophecy that a witch has caused your problem or agree with your suspicions. Every Tanzanian I talked to knew witches could cause harm through invisible means. The more I listened, the more I realized that they had good evidence for their beliefs. They had heard many stories told to them by parents and others they respected. Everyone in their community operated from the same worldview. They had personal experiences they felt were irrefutable. The Bible translations available to them included the word mchawi (witch) in several places. They used solid reasoning from shared worldview and evidence to say that a witch may be the cause of something unusual. Envy, anger, and threats are easier to see than viruses for most people. In fact most of us believe in viral causes for colds and HIV-AIDS because an authority we respect told us and all of our community believes in them, not because we have researched it ourselves. I could not simply dismiss such beliefs as unscientific. Science is a method that limits itself to cause and effect in the material world and what can be empirically verified with the scientific method. Unlike philosophical naturalism, it does not assume that it explains all that exists. Science is not especially good at giving meaning, love, or comfort to the sick and grieving. Nor does it do well at deciding what is evil or at seeking justice. For most Tanzanians an invisible world of spirits and powers powerfully influences the material world. My friends Norman Miller and Paul Gifford who have written on witches may hope that We do not need to treat as a package deal belief in the Holy Spirit, God’s active work, miracles, and demons—as well as witches.Africans will go through an enlightenment and become modernists who trust only the senses and “science.” But I have little hope for this. Even Western academia has long shifted toward a postmodern approach that no longer believes the certainties of modernity. Also, as a Pentecostal Christian, I believe in a historical Jesus who healed the sick and demonized and continues to do so. We do not need to treat as a package deal belief in the Holy Spirit, God’s active work, miracles, and demons—as well as witches. Many Christians in Tanzania think questioning any of these is denying reality. Many Western skeptics think affirming any of these is irrationally denying reality. I believe that we must test each one and also each case both biblically and empirically to see what explanations fit the evidence best. In future posts, I will invite us to examine the biblical evidence and the empirical evidence in specific cases. 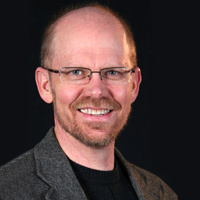 But as my research progressed, my supervisor, Bob Priest, challenged me to not only understand what is said, done, and believed, but what that produces in social outcomes—in the lives of real people and communities. In our seminar discussion on this topic in Mwanza in 2013, many people told stories of how they were accused. All of the bishops present had been accused by someone, but nothing much came of it because they had significant social capital—a large network of family, church, and friends who trusted and defended them. An elderly man told how he had been accused and people refused to let him go to a funeral and stoned his house, but he confronted them and stayed in the community. One elderly Catholic woman told of being fined a cow for supposedly killing a nephew. A pastor’s wife for 50 years told how police barely rescued her from being killed as a suspected witch a couple months before. They put her in jail and she left the next day. She has had to move from her home and village. A Pentecostal church member told of being chased from town and having her house burned down by her nephew. Although the family resolved this issue years ago, people in the village still refuse to greet her and people in her church will not sit on the same bench with her. Her pastor told me that he believes she is still a witch. His own former pastor from this village told him that he doubted this claim because the reputation of the trouble-making nephew was worse. So the elderly, widows, orphans, and the poorest are neglected, beaten, chased from their villages and have their property taken. In fact, ten times a week someone is killed as a suspected witch in Tanzania. In Kenya, witch accusations and desire for land result in killings in Malindi and Kisii. So witchcraft is not merely a belief. It is a double evil for many people in the world, including many Africans. One way or another it is responsible for great suffering, including thousands of deaths. In Northwestern Tanzania, most people believe that witches cause some and probably the majority of serious sickness, death, and other problems. Defending against these evildoers is thus critical, so they think. Almost any means is acceptable. Other people see many accused “witches” as innocent victims of unjust persecution. Thus, defending them should be high priority. With so much at stake, the only option not available is the one taken by the majority of the world: Ignoring the cries of the suffering.